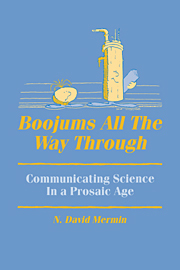 A collection of offbeat, entertaining and primarily nontechnical essays on physics and those who practice it, from eminent theoretical physicist N. David Mermin. Bringing together for the first time all thirty of his columns published in Physics Today's Reference Frame series from 1988 to 2009, with updating commentary, this humorous and unusual volume includes thirteen other essays, many of them previously unpublished. 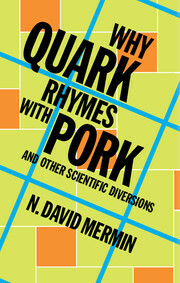 Mermin's lively and penetrating writing illuminates a broad range of topics, from the implications of bad spelling in a major science journal, to the crises of science libraries and scientific periodicals, the folly of scientific prizes and honors, the agony of getting funding, and how to pronounce 'quark'. His witty observations and insightful anecdotes gleaned from a lifetime in science will entertain physicists at all levels, as well as anyone else interested in science or scientists at the turn of the twenty-first century. 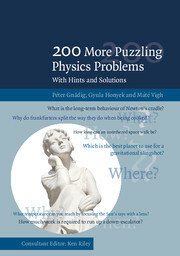 "This delightful collection of essays should be on the bookshelf of anyone who cares about the human side of physics; it kept me amply entertained for the whole of a transatlantic air trip. I particularly like Mermin's discussion of the 'science wars', where his analysis is orders of magnitude more sophisticated than those of most of the combatants on either side." 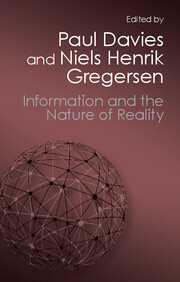 "N. David Mermin offers that rare combination of deeply insightful essays that are also thoroughly entertaining. His writings are among the clearest and most illuminating reflections on the content and the practice of physics, and this collection is simply a joy to read." 43. Writing physics, lecture, Cornell University, 1999. 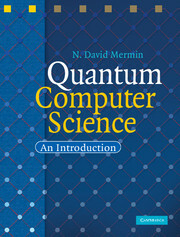 N. David Mermin is Horace White Professor of Physics Emeritus at Cornell University. 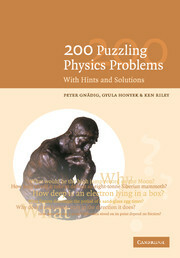 He is known throughout the scientific world as co-author of Solid State Physics, and for his columns in Physics Today. He was awarded the Julius Edgar Lilienfeld Prize of the American Physical Society for 'outstanding contributions to physics' in 1989, and is a member of the American Philosophical Society, the US National Academy of Sciences and the American Academy of Arts and Sciences.